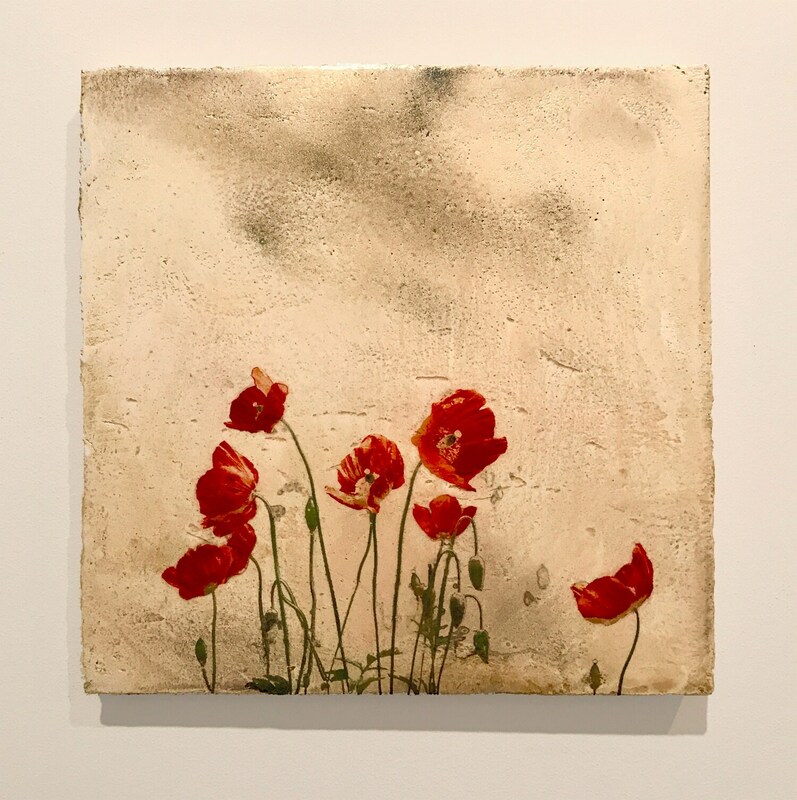 This artwork is a unique mixed media piece created with paint, photography, transfer techniques and Venetian Plaster. 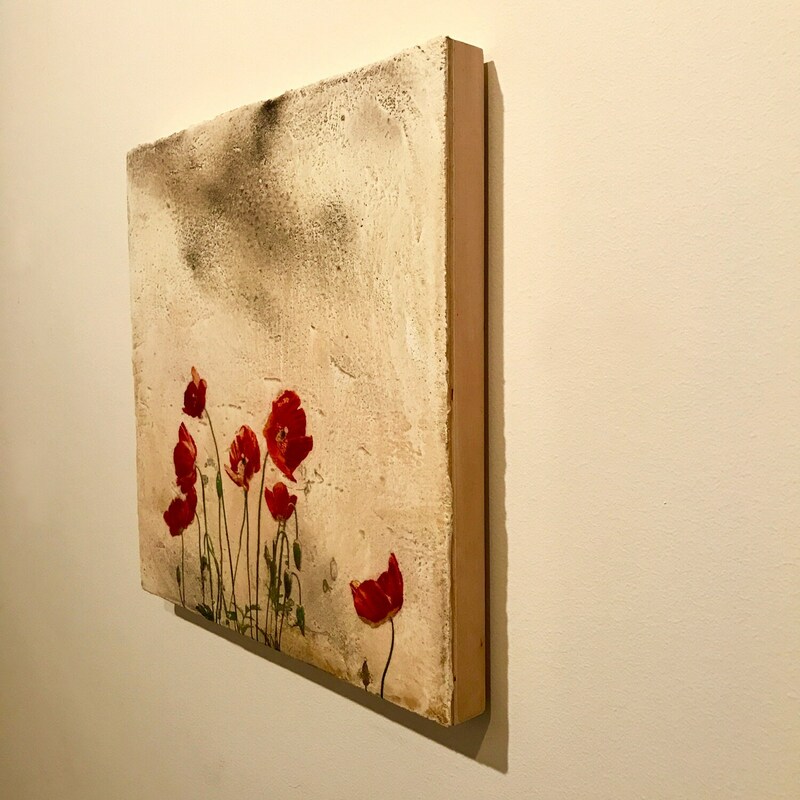 First I create a rich plaster background, a process of staining and curing with metallic pigments on authentic Venetian Plaster. It takes a week to build up layers and create the rich patina I am looking for. The edges have a lovely organic roughness like deckled paper. My next step is to transfer original photography into the plaster, which I then carefully glaze with protective sealant. The panels have hanging wire on the back, and ship in a box with bubble wrap to protect them. This original artwork is part of a series called "The Gardener's Almanac of Irreproducible Phenomena" in which I attempt to capture the mysteries of my garden as it moves through the seasons. 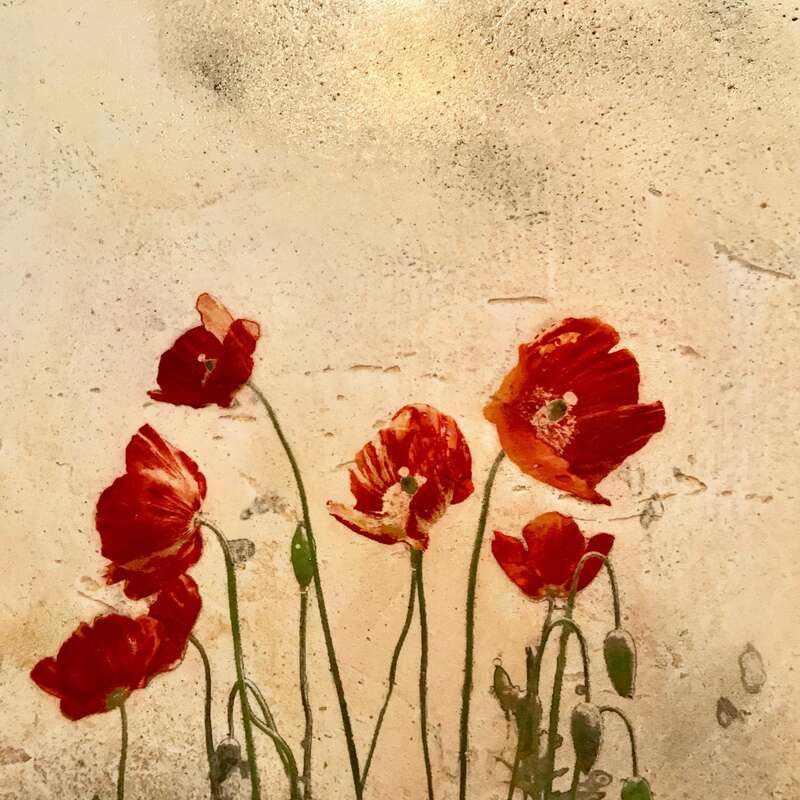 "Red Poppies" is a botanical study of a wild flower that grows by my pond. This original artwork is ©Iskra Fine Art and may not be reproduced in any form without permission.